Universal Health Coverage is a concept that is becoming more and more popular globally. Even the former Thai Prime Minister Thaksin Shinawatra, who was ousted for corruption, was much praised for successfully implementing the Universal Health Coverage. 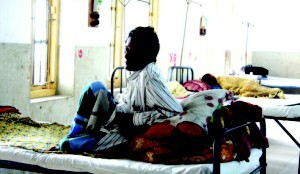 Universal Health Coverage ensures health security of the people. Health expenditure has been increasing along with the increased rate of chronic and non communicable diseases, making health-care less and less affordable for most people. In a country like Bangladesh, where per capita health expenditure is only $ 7.5 and 75 percent of it comes from the patients' pockets, the government must think about alternative health expenditure. If you visit the National Institute of Cancer Research and Hospital (NICRH) and talk to patients, you will find a significant number of poor patients having been forced to sell their land or property to pay for the accumulating bills for treatment. Alternative health financing, however, can bring a ray of hope for lower income and middle income groups. According to the World Bank Report, 31 percent people are poor accounting for around 5 crore of the total population. Every year an estimated 3 percent of the population is falling below the poverty line. Exorbitant health expenditure is considered as one of the main reasons behind this. So though late, the government of Bangladesh has decided to implement health insurance by early next year. Under the programme, poor people will be provided with health cards. 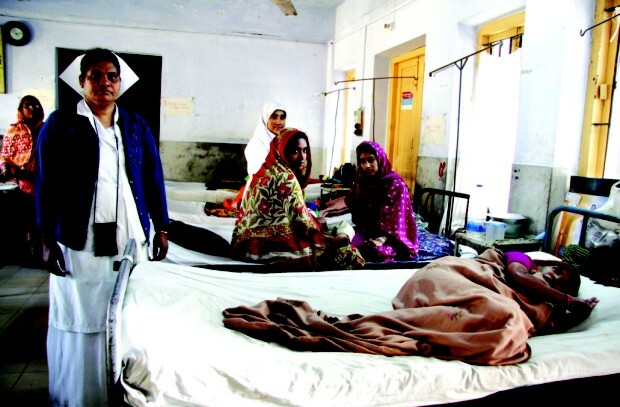 According to Health Minister Dr AFM Ruhal Haque, if they show the cards to the concerned hospitals, they will get free treatment. But the government is yet to fix whether they will get free of cost treatment from only the public hospitals or from the private hospitals too. What would be the ceiling of the insurance coverage and whether it would cover the secondary and tertiary level health care or only the primary, are other important issues that are not quite clear. The purpose of adopting health insurance is to reduce the burden of health care costs of the poor and also allow them to get healthcare when they need it. But there are three fundamental, interrelated problems that restrict countries from moving closer to universal coverage. The first is the availability of resources. The second barrier is an over reliance on direct payments at the time people need care and the third impediment is the inefficient and inequitable use of resources, said the World Health Organisation report 2010. However, Brazil, Chile, China, Mexico, Rwanda and Thailand have recently made great strides in addressing all the three problems. Gabon has introduced innovative ways to raise funds for health, including a levy on mobile phone use; Cambodia has introduced a health equity fund that covers the health costs of the poor and Lebanon has improved the efficiency and quality of its primary care network. Thailand for instance, adopted health insurance system in 2002 when the per capita health expenditure was much less than $ 215. By this time, they have brought 98 percent of its population under the universal health coverage.There are three types of schemes that include Civil Service Medical Benefit system for the government employees, Social Security System for formal sector private employees and Universal Coverage scheme covering 75 percent population who are beyond Civil Service Medical Benefit and Social Security System. The National Health Security Office has been managing the Universal Coverage Scheme with the general tax. Patients now receive primary to tertiary level health services under the health insurance. The system has been developed so much that communities are even mobilising money for health promotion and attending to patients who need physical and mental support at their homes. The Government of Andhra Pradesh is implementing the Rajiv Aaarogyasri Community Health Insurance Scheme in the state to assist poor families from catastrophic health expenditure. In addition, the Aarogyasri Health Care Trust has been set up under the scheme with the Chief Minister as the chair. Begun in 2007 the scheme is a unique Public Private Partnership model in the field of health insurance and now covering 19.7 million families with 942 surgical and therapeutic interventions. According to Dr PV Ramesh, principal health secretary of Government of Andhra Pradesh, Rs 150,000 per family per year has been allotted, subject to limits while an additional Rs 50,000 is given in case of need from a buffer fund. The insurance company is identified through open bidding process while hospitals having a minimum of 50 hospital beds with requisite infrastructure and expertise within the state of Andhra Pradesh are eligible to be empanelled under the scheme for providing services. Begun in 2007, Rashtriya Swasthya Bima Yojna (RSBY) has now enrolled approximately 56 million people. Paying Rs 30 a year to prepare a smart card, a family of five members can get health services at a discount rate from any of the empanelled private or public hospital. The insurance covers Rs 30,000 per family per annum for hospitalisation expenses. A total of 25 states have already signed the Memorandum of Understanding with the Central Government. A total of 8000 public and private hospitals have been enlisted from where the patients can receive treatment showing their smart digitised cards. It has been found that the out of pocket expenditure for the RSBY beneficiaries is six times less than the non beneficiaries. Health infrastructure is also being set up in remote areas by the private sector. Following a survey at Haryana and Gujarat the Ministry of Labour – the implementing body found that 91 percent of beneficiaries who got hospitalised with RSBY card did not pay anything for medicine in the hospital. The RSBY aims at covering 300 million people by 2012. At the 64th World Health Assembly in May 2011 the member states were urged to ensure health financing systems so as to avoid significant direct payments at the point of delivery and include a method of prepayment of financial contributions for health care and services as well as a mechanism to pool risks among the population in order to avoid overwhelming health care expenditure and impoverishment of individuals as a result of seeking the care they need. The writer is Staff Reporter, The Daily Star.